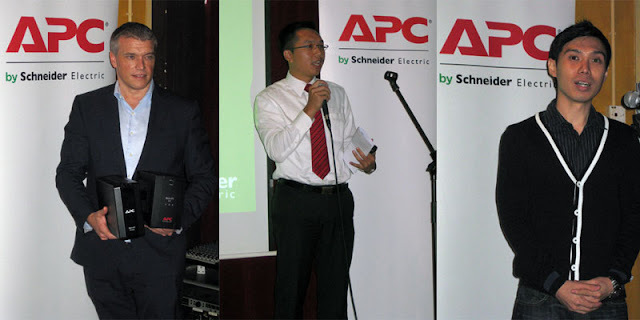 I was invited to UPS (Uniterrrupted Power Supply) Storm Season – Product Showcase Event by Schneider Electric IT Business Malaysia early this month to share my personal experience with UPS at home and workplace. During the event, a few latest UPS models were showcased including APC Back-UPS Pro (BR900GI) in the Back-UPS lineup which is ideal for home offices and SOHOs. Another UPS model was used in the demonstration is the APC Smart UPS On-Line system, that is designed as power protection solution for servers, voice/data networks, medical labs, and light industrial applications in Small Medium Enterprises (SME). John Atherton, Malaysia IT Business Vice President of Schneider Electric, mentioned at the event that We live in a country that is ranked 5th in the world in terms of lightning density, Kuala Lumpur experiences an average-thunder day level between 180-300 days per year. Our work, leisure, healthcare, economy, and livelihood depend highly on a constant supply of electrical power. Even a temporary stoppage of power can lead to chaos, monetary setbacks, and possible loss of life. 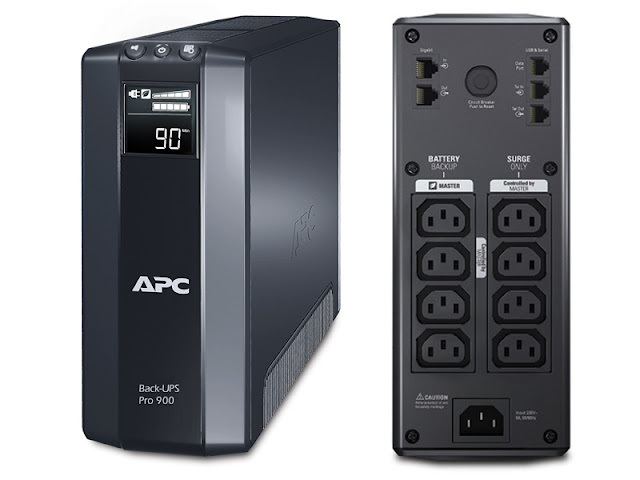 The APC Back-UPS Pro (BR900GI) offers homes and business owners guaranteed power protection for high performance computer systems, routers/modems, external storage devices, gaming consoles and other electronics. I’ve been a satisfied APC customer since I bought an entry-level BE500R-AS UPS for my home office more than a year ago. It serves me well and survived a few power outages in the past few months especially during the monsoon seasons. Against the backdrop of the current monsoon season with some areas in Malaysia being adversely affected – power outages can happen anywhere, anytime. The severe weather of the storm season presents the greatest danger to computers and electronics and that’s one of the reasons I got the UPS last year and I’m truly happy I made the purchase. Besides, lightning and thunderstorms increase the incidence of power problems that threaten the life span of the electronic equipment and most important of all the data and productivity of a business. 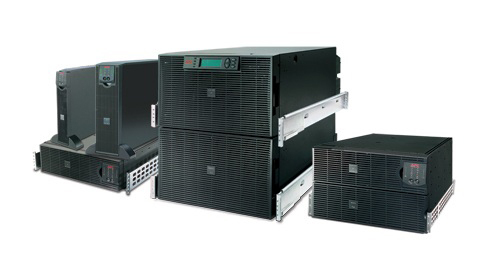 APC Back-UPS Pro (BR900GI) provides a simplified and reliable solution for protecting data when power outages occur. The Back-UPS Pro is user-friendly, reliable and energy efficient and also has unique “green” features such as power-saving outlets that automatically turn off idle peripherals, high efficiency charging system and an automatic voltage regulator that helps reduce power consumption. With built-in data line surge protection in the Back-UPS Pro, home users or business owners would no longer need to worry about surges and spikes travelling over the Ethernet and telephone lines. These features, combined with the automation voltage regulation (AVR), enable users to adjust high and low voltages to safe levels so that they can still work during blackouts and over voltages. As a satisfied user of APC UPS, I highly recommend getting a Back-UPS Pro for your home or workplace if you think protecting your computer and electronic devices from electric surges or power failure is a matter that shouldn’t be taken lightly.